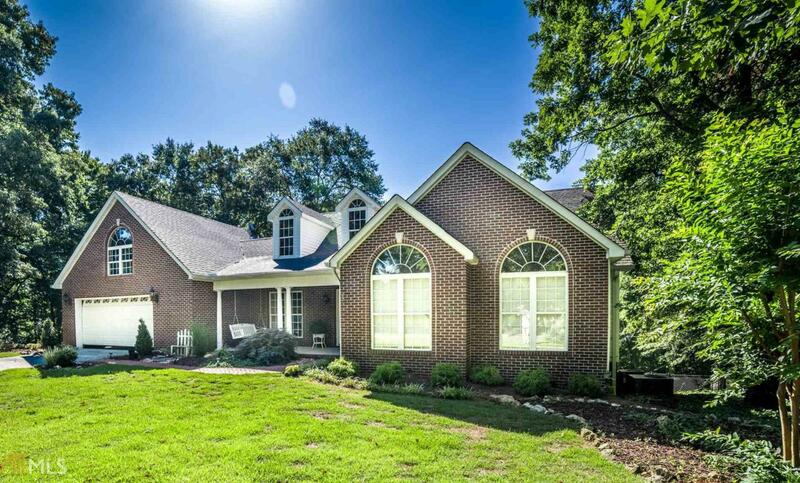 Extraordinary Custom Home in cul de sac on private wooded lot with inground pool. Relax on front porch to this inviting open ranch plan with hardwds thru main living space, formal dining room, kitchen with exotic granite, island, vent hood, stainless microwave, stove and dishwasher, family room with gas log fireplace and built in bookcases. Private vaulted owners suite includes walk in closet, jetted tub w/ tile surround, shower, tiled flr and double sinks. Additional bedroom on main and bedroom in loft with full bath at stairs. Basement includes oversized rec room, exercise room, bedroom, bonus room and full bathroom. Basement opens to private covered patio with step down to pool. Covered/uncovered deck with steps down to pool. Shed and much more!